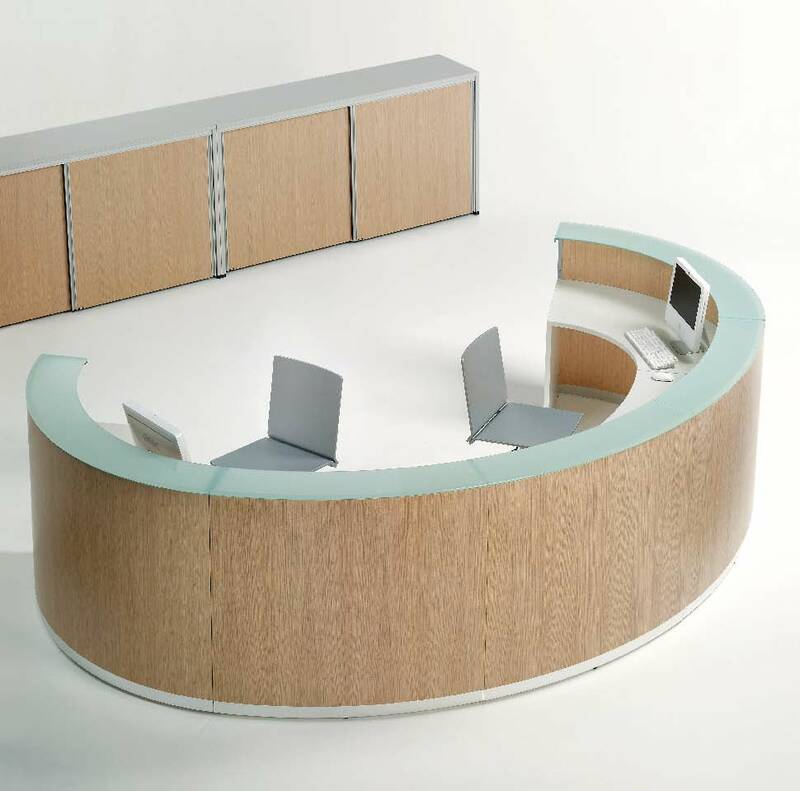 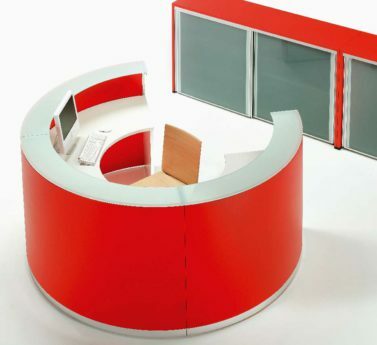 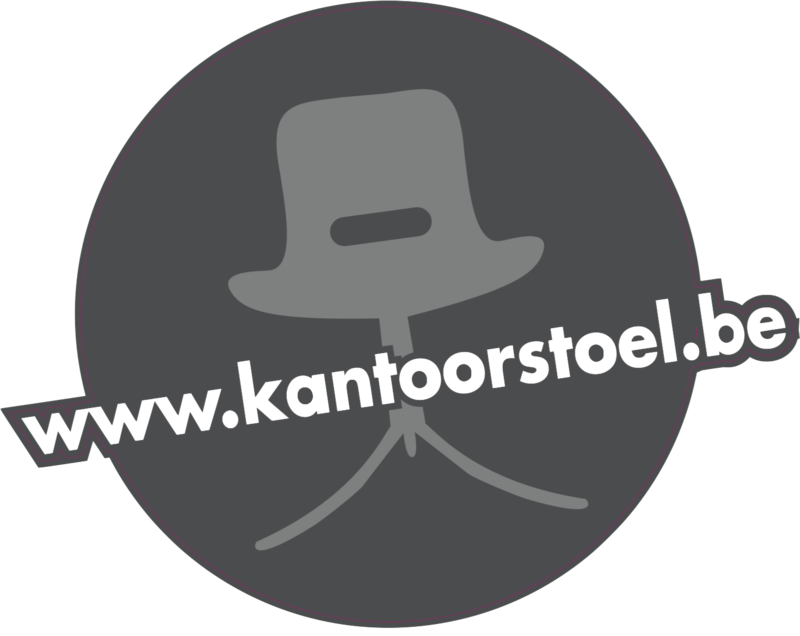 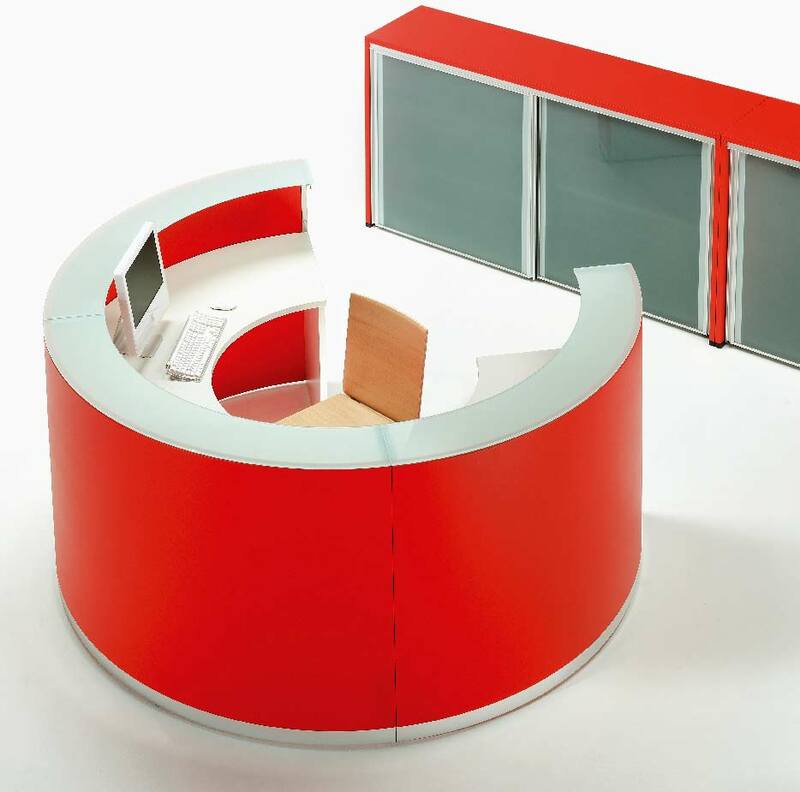 Bengentile is a reception system that lets you organise your reception area along the lines of different functional models. 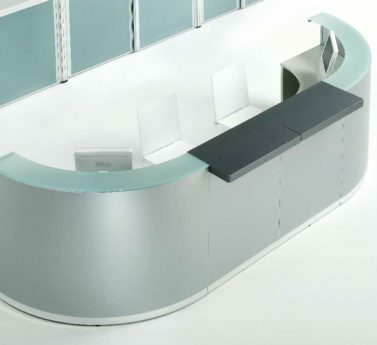 The possible combination of linear and curved elements makes an infinite number of configurations possible, and the flexibility of the system lets you transform available space as if it were a design to create a wellorganised environment with an ample spectrum of use. 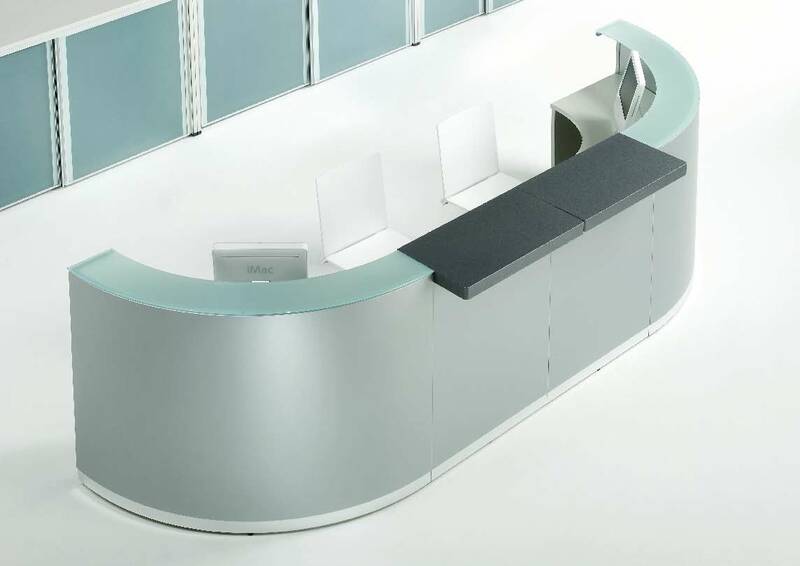 The linear front consists of ‘counter top’ type structural elements characterised by a vertical front panel supporting a glass desk top, with a worktop below.